9x12, lxxi + 290 pp. Careful listeners and readers need to spend little time perusing Mary Lou Williams’s solo piano recordings or her music manuscripts to realize her immense talent. A two-time Guggenheim Fellow, Williams (1910–81) honed her craft as a jazz pianist, composer, and arranger during a career that spanned five decades. 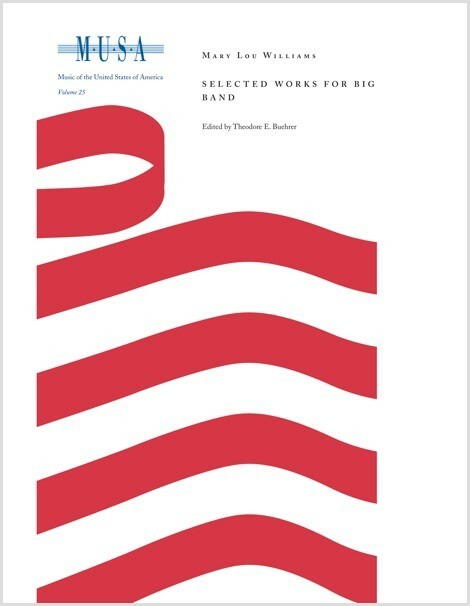 The eleven selections in this volume are representative of her work for big band, pieces written for orchestras led by Andy Kirk, Duke Ellington, and Dizzy Gillespie. Included in the volume is Williams’s earliest arrangement (Mess-a-Stomp, 1929) as well as compositions from the 1930s, 40s, and 60s, allowing her stylistic evolution to be traced. A variety of source materials, including extant scores and parts, was used in the preparation of this edition. Where no written music survives, transcriptions drawn from audio recordings were created. The resulting edition and accompanying essay shed well-deserved light upon this gifted yet relatively unknown giant of American jazz.